University Baptist Church has a rich history of beautiful music, one that has grown tremendously under Director of Music, Ron Gretz. Our Foundation Worship Service features an organ, an amazing choir, and monthly handbell choir music. 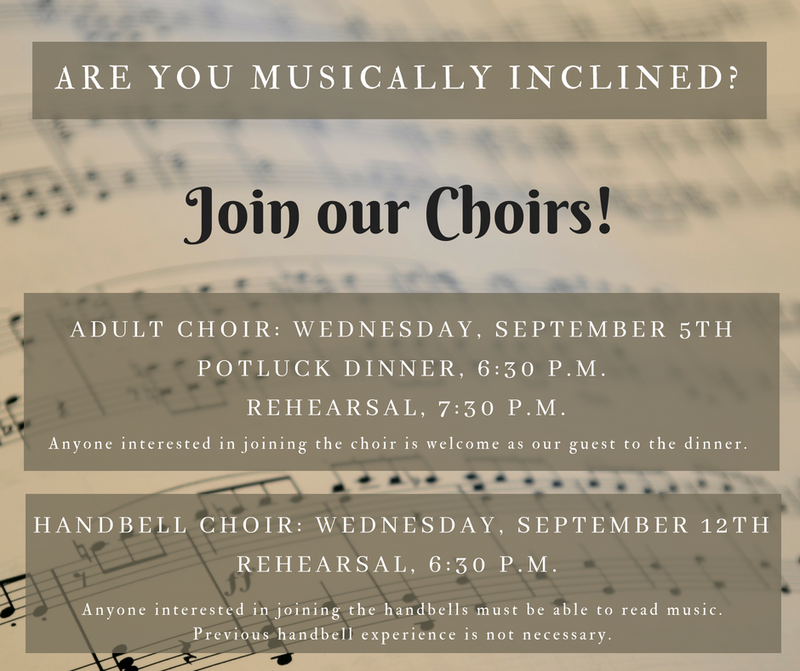 In addition to making a joyful noise, the members of the choir are known for their sense of community and fellowship, so this fall is a great time to join them!